The doorbell rings and you open the door without checking or making sure who it is at the door. 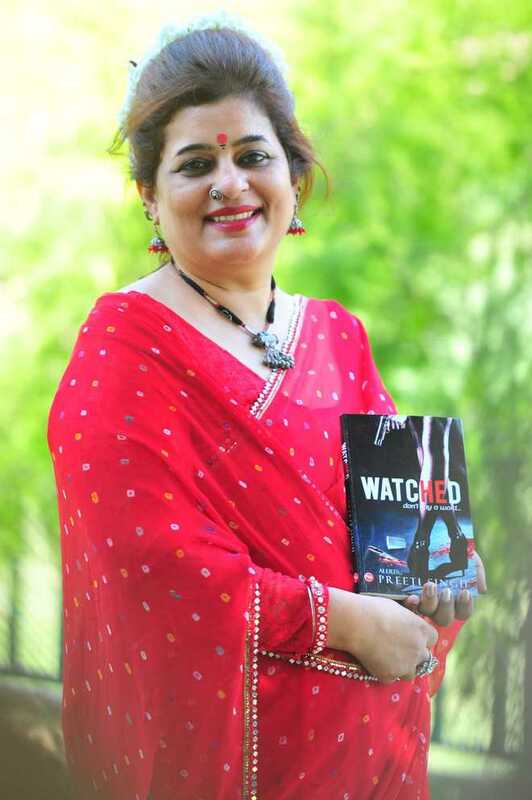 If in the times like today when crime stories are the order of the day you still do that, Tricity author Preeti Singh has written Watched...don’t say a word just for you. A crime thriller that criss-crosses through PGI, Police Headquarters, MCM DAV College, Panchkula and Zirakpur has young Kinjal Joshi as the protagonist who is investigating serial killings. As the story proceeds, her very aides turn into suspects and the girl feels ‘watched’ twenty four seven. To know whether this sleuth solves the case or falls prey to serial killer, you need to pick up the book. Spread over about 200 pages, this is the third book by Preeti, who has penned Flirting with Fate and Crossroads before that. While first was a crime story, second an emotional take on the choices its protagonist had. What made her choose crime as her genre again? “Well, this is my favourite genre. And going by the incidents reported on daily basis, it is high time that we start taking safety concerns on priority basis,” says Preeti. A succour for Crime Patrol and Saavdhan India, Preeti has weaved the incidents in her book.